This article explains the Cost Plus Method, including an example. In addition, we provide some suggestions on how and when to use this transfer pricing method. 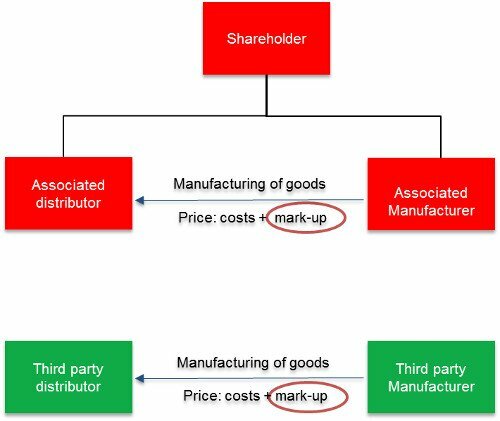 Before we continue, it is important to understand that the Cost Plus Method is one of the common transfer pricing methods used to examine the “arm’s-length” nature of “controlled transactions.” If these terms do not ring a bell, we advise you to first read our article What Is Transfer Pricing? and the Five Transfer Pricing Methods With Examples. What Kind Of Transfer Pricing Method Is The Cost Plus Method? The OECD Transfer Pricing Guidelines (the OECD Guidelines) provide 5 common transfer pricing methods that are accepted by nearly all tax authorities. These methods are divided in “traditional transaction methods” and or “transactional profit methods.” The Cost Plus Method is a traditional transaction method. Traditional transaction methods measure terms and conditions of actual transactions between independent enterprises, and compares these with those of a controlled transaction. This comparison can be made on the basis of direct measures, such as the price of a transaction, but also on the basis of indirect measures, such as gross margins realized on a particular transactions. The Cost Plus Method compares gross profits to the cost of sales. Under the Cost Plus Method, the first step is to determine the costs incurred by the supplier in a controlled transaction for products transferred to an associated purchaser. Secondly, an appropriate mark-up has to be added to this cost, to make an appropriate profit in light of the functions performed. After adding this (market-based) mark-up to these costs, a price can be considered at arm’s length. Candy Casing (X) manufactures Iphone cases for associated enterprises. There are many companies around that manufacture Iphone cases, including independent enterprise Ali Accessories (B). B and X manufacture similar Iphone cases. Now say that X is asked by associated enterprise Y to manufacture 100,000 Iphone cases. X wonders what transfer price it should charge. This means that X should find the terms and conditions (here: the price) of a comparable transaction. Under the Cost Plus Method, X should then first compare its cost base with the cost base of B when manufacturing 100,000 Iphone cases for a third party client. Provided that the cost base is comparable, the next step is to identify the mark-up on costs applied by B. That mark-up should be added to the cost by X. The result is the arm’s length price. The Cost Plus Method can be helpful to assess the arm’s length remuneration of low-risk, routine-like activities. An example of such activities is contract manufacturing, where there is a manufacturing enterprise which contracts exclusively with one client (principal) and assumes limited risks. A lot of car producing MNEs operate under that model. Another example is the provision of simple administrative services. The downside of the Cost Plus Method is that it requires controlled and uncontrolled transactions to be highly comparable. To establish such level of comparability, detailed information on the transactions should be available. Examples are the types of products manufactured, actual activities, cost structures and the use of intangible assets. In case this information is unavailable, the Cost Plus Method cannot be applied. In practice this makes that the Cost Plus Method is not often used. The Cost Plus Method is one of the 5 common transfer pricing methods provided by the OECD Guidelines. The Cost Plus Method is a traditional transaction method. The Cost Plus Method compares gross profits to the cost of sales. Firstly, you determine the costs incurred by the supplier in a controlled transaction. An appropriate mark-up has to be added to this cost to achieve the correct transfer price. The Cost Plus Method is often applied to low-risk routine-like activities such as manufacturing. In practice, it is often difficult to find information on sufficiently comparable transactions. We hope you’ve enjoyed reading this article.